It’s the Cold Latitudes Dilemma – how to hold hands with your sweetie on a romantic walk through the snow without getting frostbite? A stockinette hand pouch with cuffs! Add your own beautiful cables or color work, of course. 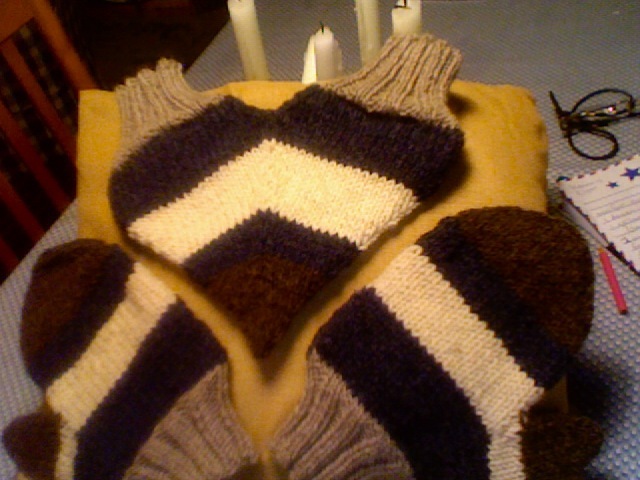 It goes particularly well with a matching pair of mittens, shared by your non-holding hands. Makes a great Valentine’s or engagement gift. Price is $2.00 through PayPal.